When never-before-seen rains fell on the arid Atacama Desert three years ago, it was reasonable to expect floral blooms to follow. Instead, it wiped out most of the microbes that lived there, according to a new study. Researchers say the findings, which appear in Scientific Reports, have implications for the biology on Mars. 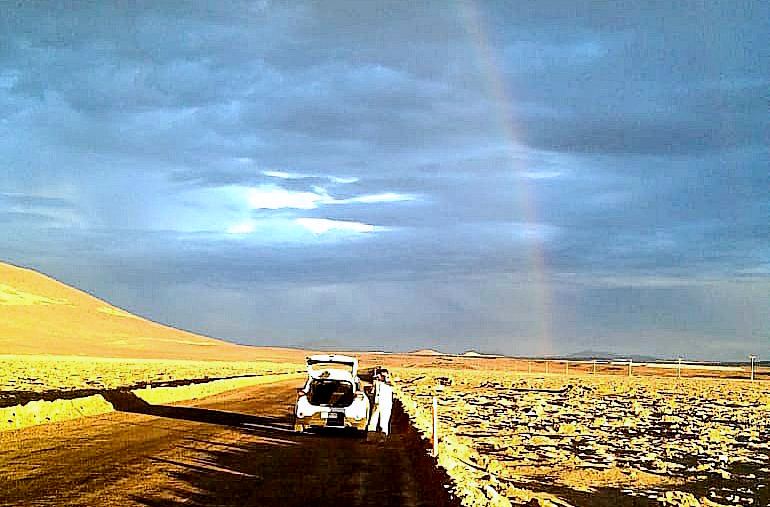 “When the rains came to the Atacama, we were hoping for majestic blooms and deserts springing to life. Instead, we learned the contrary, as we found that rain in the hyperarid core of the Atacama Desert caused a massive extinction of most of the indigenous microbial species there,” says coauthor Alberto Fairen, a visiting astrobiologist at Cornell University. The core of Atacama rarely, if ever, sees rain. But thanks to changing climate over the Pacific Ocean, that part of the desert experienced rain events on March 25 and Aug. 9, 2015. It rained again on June 7, 2017. Climate models suggest that similar rain events may take place about once every century, but there has been no evidence of rain for the past 500 years. 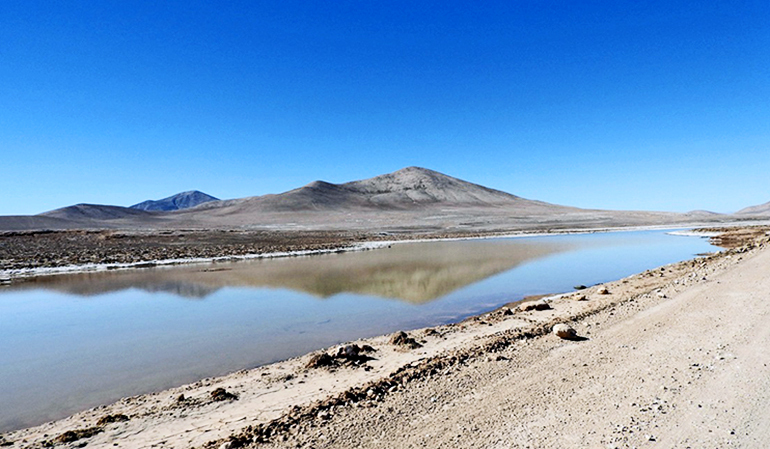 Large deposits of nitrates at the Atacama Desert offer evidence of long periods of extreme dryness. These nitrate deposits are food for microbes, Fairen says. Another implication may go back four decades. With this new knowledge, the researchers believe that science may want to revisit the Viking experiments on Mars from the 1970s, which involved incubating Martian soil samples in aqueous solutions. “Our results show for the first time that providing suddenly large amounts of water to microorganisms—exquisitely adapted to extract meager and elusive moisture from the most hyperdry environments—will kill them from osmotic shock,” Fairen says. Additional lead authors are from Centro de Astrobiología and Universidad de Tarapacá, Arica, Chile. The European Research Council funded Fairen’s work.